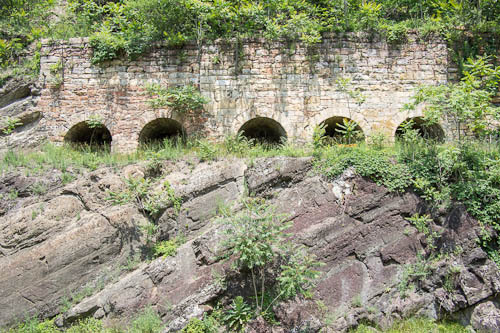 About three and a half miles upstream on the C&O Canal towpath from Hancock, Maryland are the ruins of the Round Top Cement Mill, one of the more interesting features on the canal. 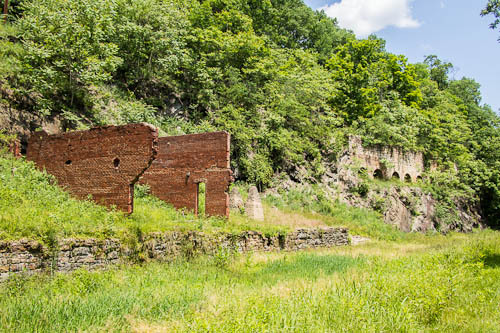 I parked in the lot by the boat ramp, just east of the Route 522 bridge and rode my bicycle up to the ruins. I had been interested in finding the ruins but it was too far for me to walk at this point. The bike has given me access to this and a lot of other things on the canal. ~ by Admin2 on June 12, 2012.